Welcome teachers, you have come to the right place. 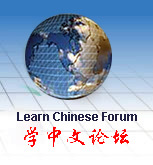 Need2LearnChinese is your best online bookstore dedicated to Chinese learning. We are pleased to supply textbooks and other supplementary materials for your Chinese class. We are your teaching partner and will make your class a success. Here are the offers we have just for you. You decide that the book is not suitable for your course, and return the book in good condition. You choose the book in your course and keep it with you for free when you order the book for your class. You keep the book for your own library and do not return it after 30 days, you will be charged accordingly. We are your teaching partner for Chinese teaching, we would like to develop a long term beneficial relationship with you. We encourage you to register with us, so that we can provide you with more services and special deals in the future. If you are looking for a textbook for your Chinese class, and could not find it on our website. Just let us know, We will locate it for you through our sourcing channel. also when you plan to start a Chinese class, please order your books 3-4 months ahead to assure we have the sufficient quantity to meet your requests and a timely delivery. We want to thank you for your hard work to make Chinese learning possible in the classroom. We would like to offer you 10% off on every order you have for your Chinese class of ten students or more. Please email us when you make your order so that we could apply the correct price on your order. How hard is to learn Chinese - give you some perspective on Chinese learning. Along with ABC, some learn Chinese - give you a view of Chinese learning in the US school system. The basics about Chinese characters - learn some insight about this topic. Origin of Chinese characters - give you some historic view and reference.